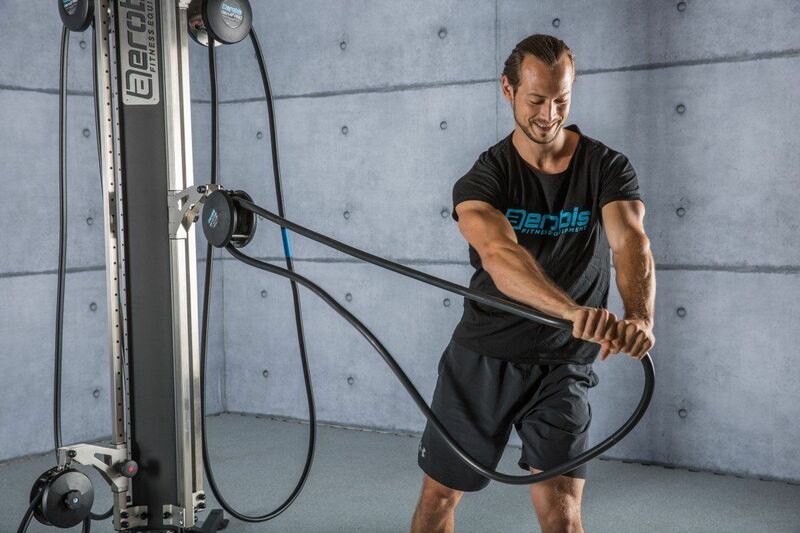 With the revvll ONE Bundle you get not only the endless rope trainer revvll ONE but also the perfect wall mount. The best entry into endless rope training. 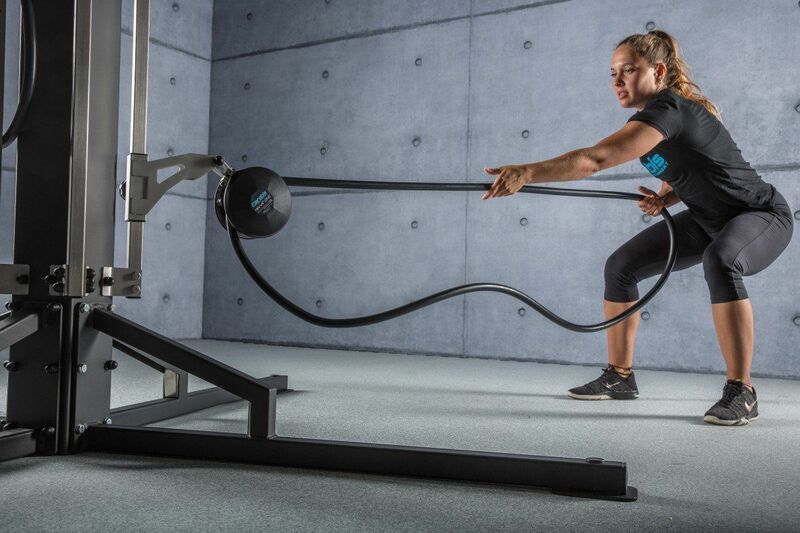 The revvll ONE offers continuously variable resistance for multi-purpose exercising. Its robust construction makes it perfect for rope training beginners. With a total weight of less than 5 kg it can be used almost anywhere. With our bundles we offer you products at a special price, which fit well together and are often bought together. The revvll ONE can be hung up in many places. Racks are available in the gym, pull-up bars or ceiling mounts at home and stable branches in the wild. But all these suspension points have a disadvantage. The trains are always only possible from top to bottom. Of course you can remove the revvll and reposition it, but that takes time. 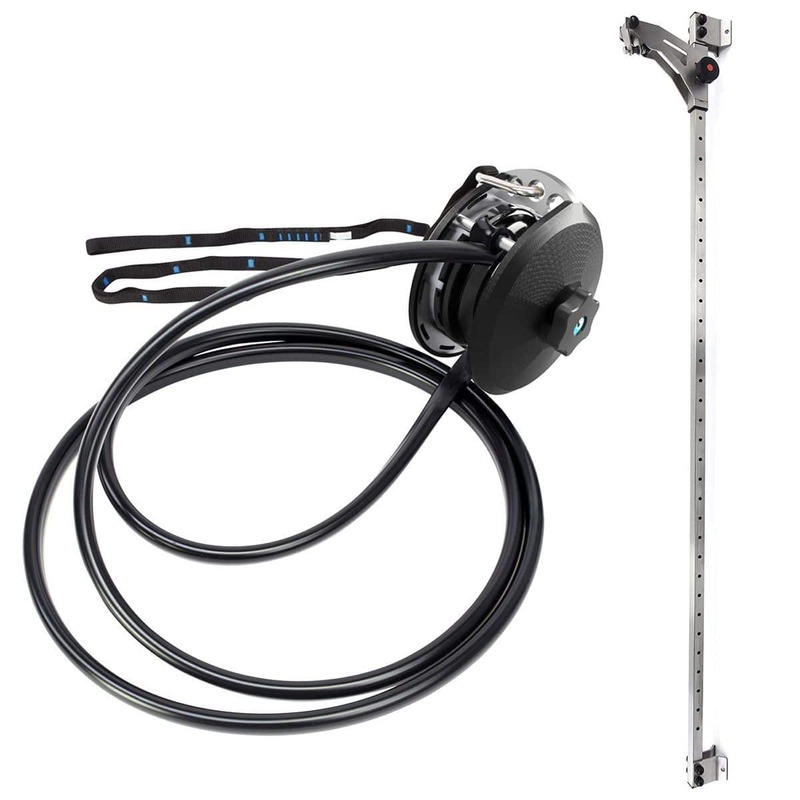 The scope of delivery of the revvll ONE bundle is of course the endless rope trainer revvll ONE and additionally the height adjustable wall mount aerobis rail Adjust. If the revvll ONE is attached to this bracket, it can be moved from bottom to top and from top to bottom in seconds. So you get the huge advantage to do pull exercises from top to bottom, bottom to top and in the horizontal. With the included carabiners and the sling you still have the possibility to use the revvll ONE outside. With the revvll ONE bundle you have the perfect set for your endless rope training indoor and outdoor.